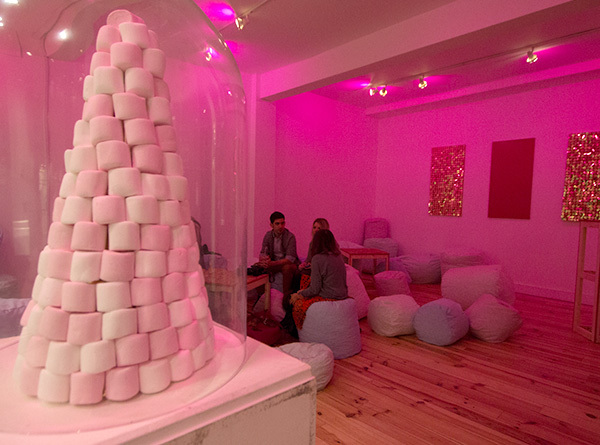 Lounge on giant marshmallow-inspired cushions as you indulge your sweet tooth. 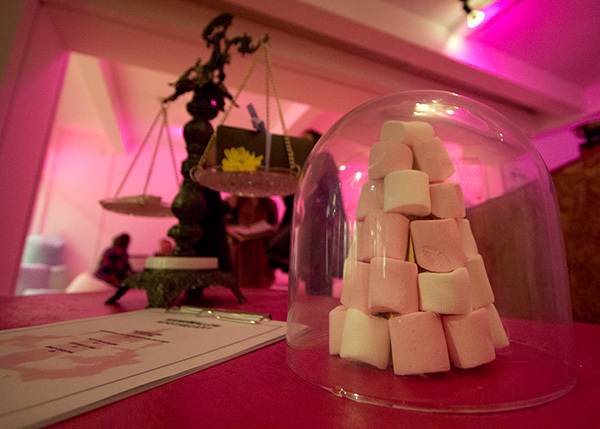 A tower of mallowy goodness! 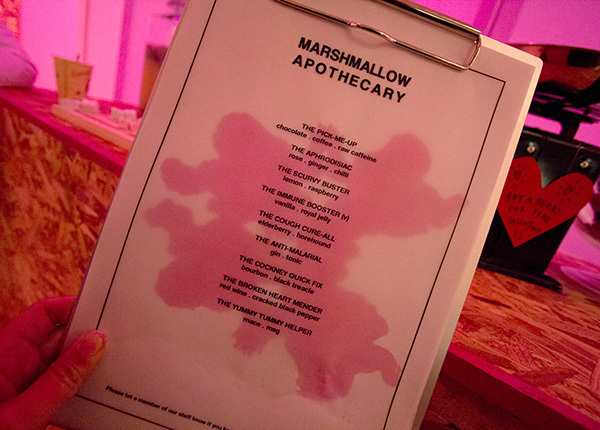 There’s a marshmallow for every ailment from malaria and scurvy to broken hearts and tummy helpers and flavors are inspiring and exotic too, including mace and msg, horehound, raw cafeinne, red wine and royal jelly. 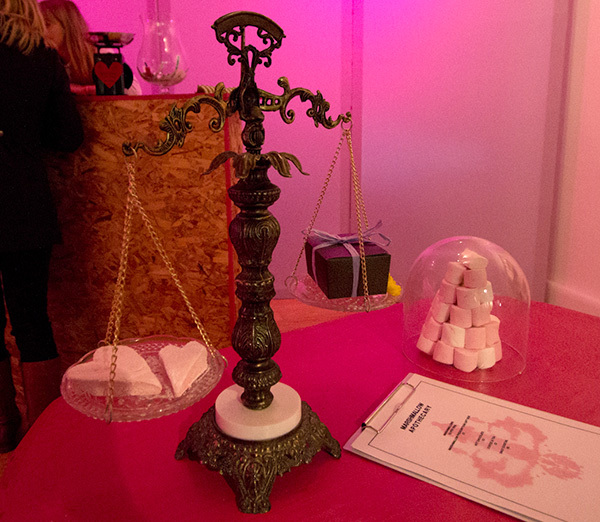 We even tried a cheese marshmallow (though it’s not currently on the menu)! 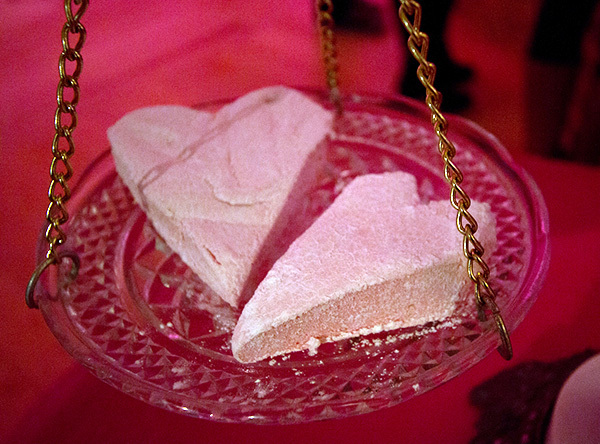 An exotic platter of marshmallow experiences. 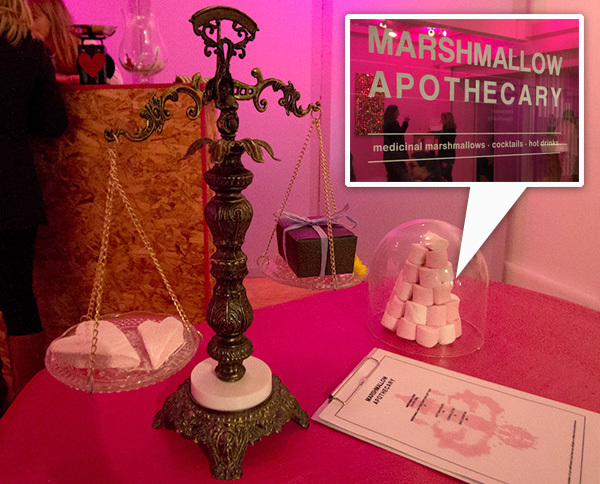 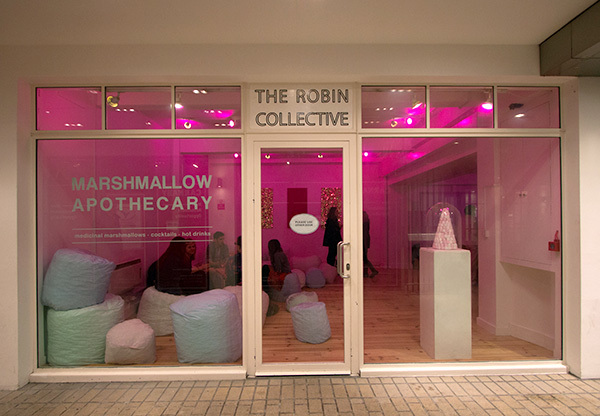 The pop-up Marshmallow Apothecary will be open from today for two weeks in Kingly Court, serving coffee, tea and of course marshmallows. 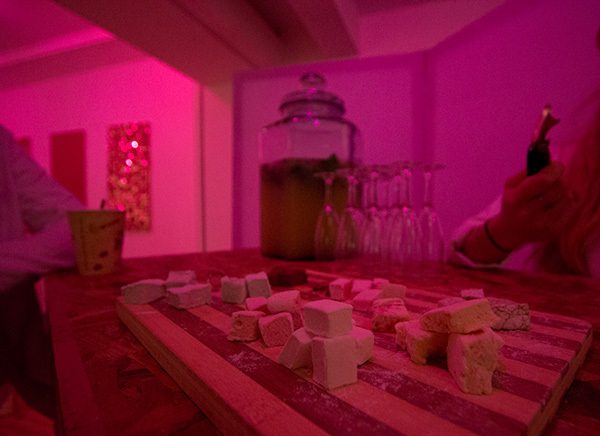 The pop-up will also feature a changing selection of cocktails and alcoholic hot chocolates. 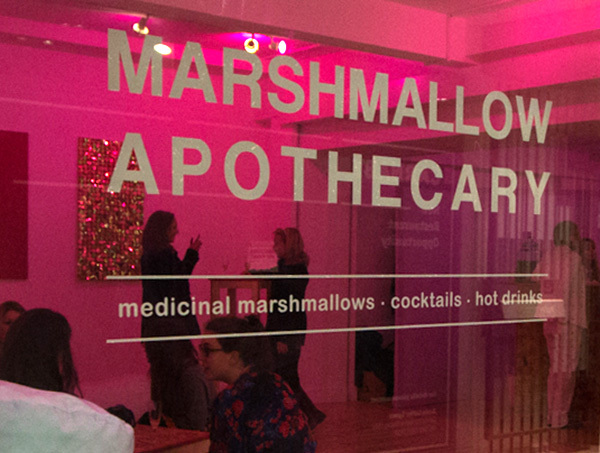 Love the sound of red wine hot chocolate with exotic medicinal marshmallows!